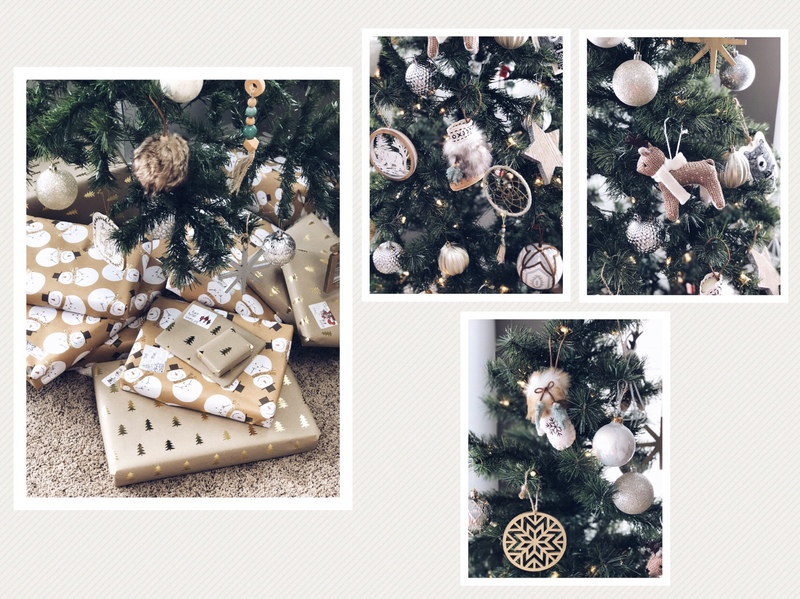 I love changing the decor throughout my home with each season and holiday. Christmas is such a fun time to decorate. 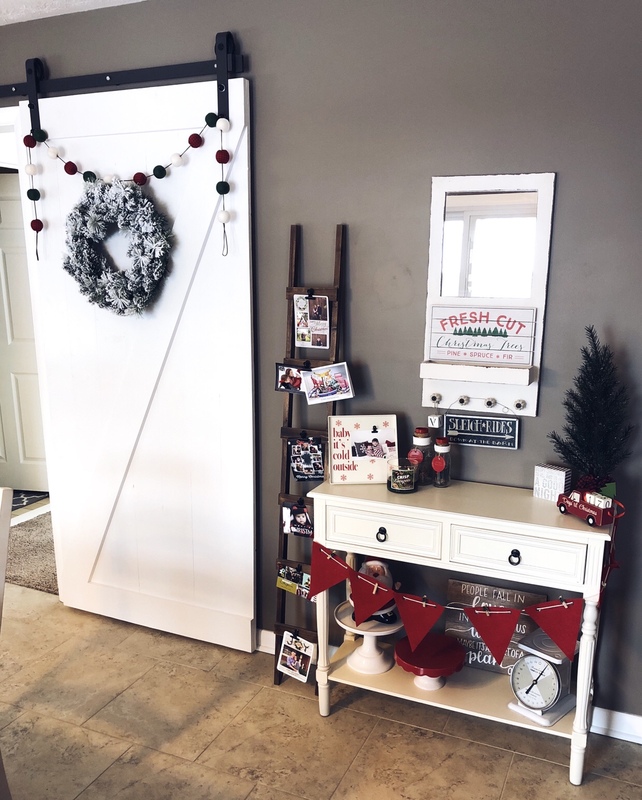 I try and incorporate a little bit (or a lot a bit) of Christmas into each room. One of my favorite spaces to decorate is the bar cart I have in my kitchen. During this time of year it becomes the “cocoa cart”. 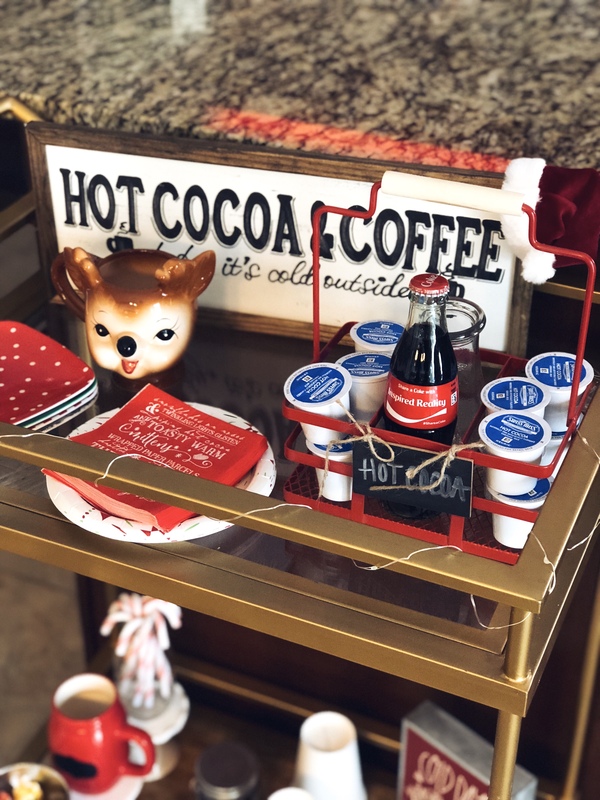 The cart and hot cocoa sign were both gifted to me which makes it extra special. The Rudolph mug is one of my favorite pieces. I think it is just so adorable. If you look closely, you will notice the Coca-Cola bottle says “Inspired Reality” this was a gift from my sister and editor in chief. She has been my greatest supporter throughout the startup of this blog. It was such a sweet and thoughtful sentiment. This is another area in my kitchen that I love to decorate. Other than the two junk drawers this area is purely for decoration. Most of these pieces are Homegoods or Target finds. So, this is something totally new. These shelves are usually pretty static. But, this holiday I decided I really want to change it up. I was sick of the same old toys being displayed. I absolutely love the way it turned out. It can be overwhelming to decorate so many small shelves but I didn’t go overboard and just put a little something on each shelf. The majority of the items on the shelves were Target dollar bin finds. With the exception of the piece on the top right shelf. This is a custom ordered design from a local shop. You should definitely check her shop out, its called Bear and Bugs Decor. The next space is what I call “my space” it is completely neutral. This is also the first year we put up two trees. 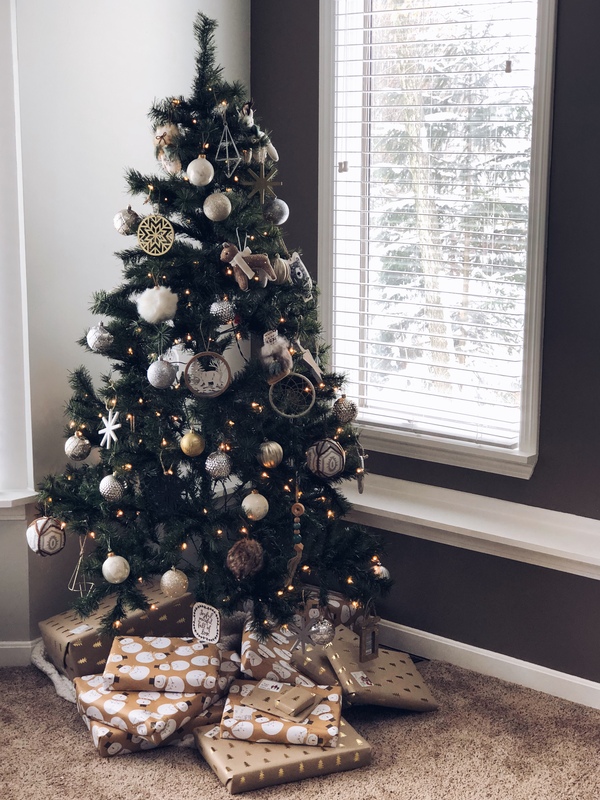 The tree in this area is all neutral colors and I love it. I knew I couldn’t do that with the tree that Santa brings gifts to, so I was loving that I got my own grown up tree. 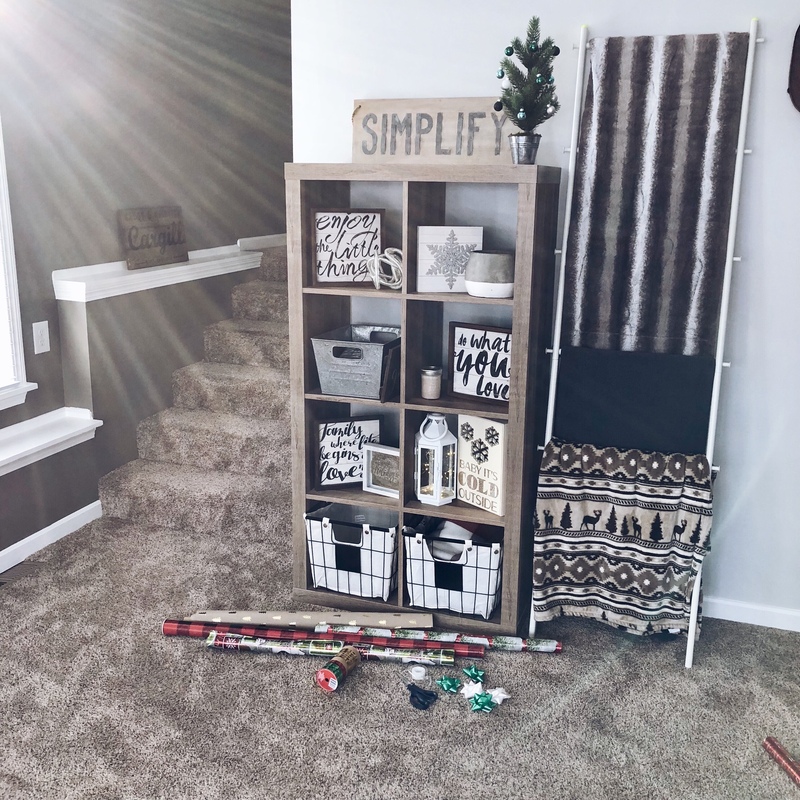 Also our family room has become a permanent wrapping station for the month of December.. anyone else!? 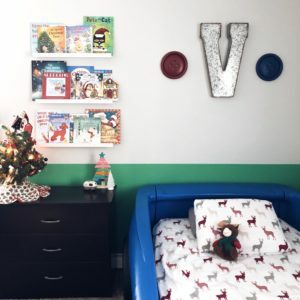 The kids bedrooms are other areas I love to make festive. My son is all about decorating too. He gets so excited to go through the Christmas decorations and find the perfect spot for them in his room. He is so much like me, and I love it! 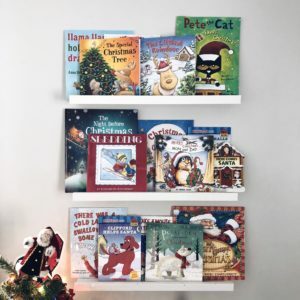 We always change up his bookshelf for the holiday/season. Not only does it make the room festive but it also keeps our book options fresh. Its a win-win. Our favorite Christmas story this year has been The Polar Bear Who Saved Christmas . 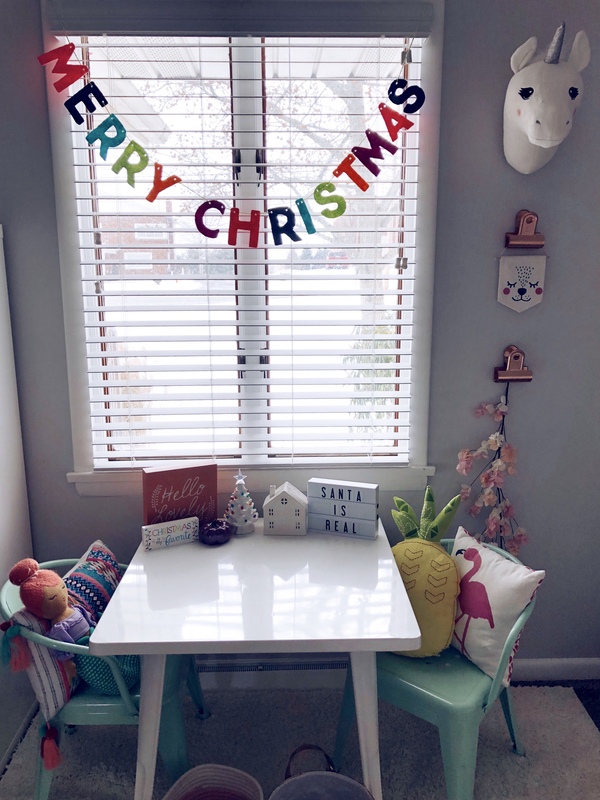 Since this is our first Christmas with Cece her room isn’t quite as festive but there is just enough to give it that Christmas feel. Lastly, I just wanted to share a little peak of our Christmas card. Made by Shutterfly of course. 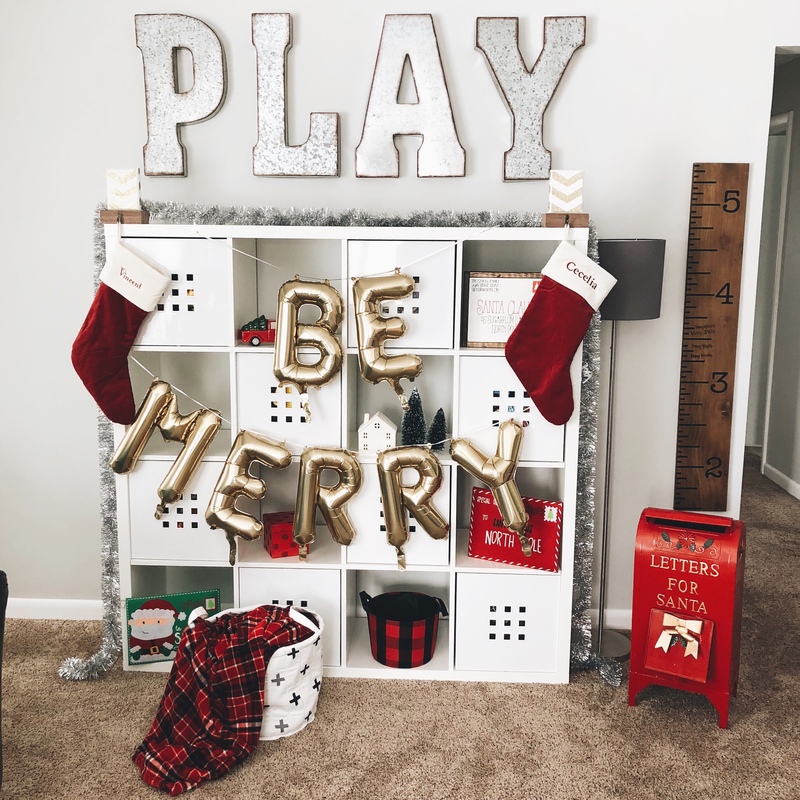 What are your favorite rooms to decorate for Christmas? Do you go all out, or is minimal what you prefer? Aww I love your house Tina, you have it decorated it beautifully!! 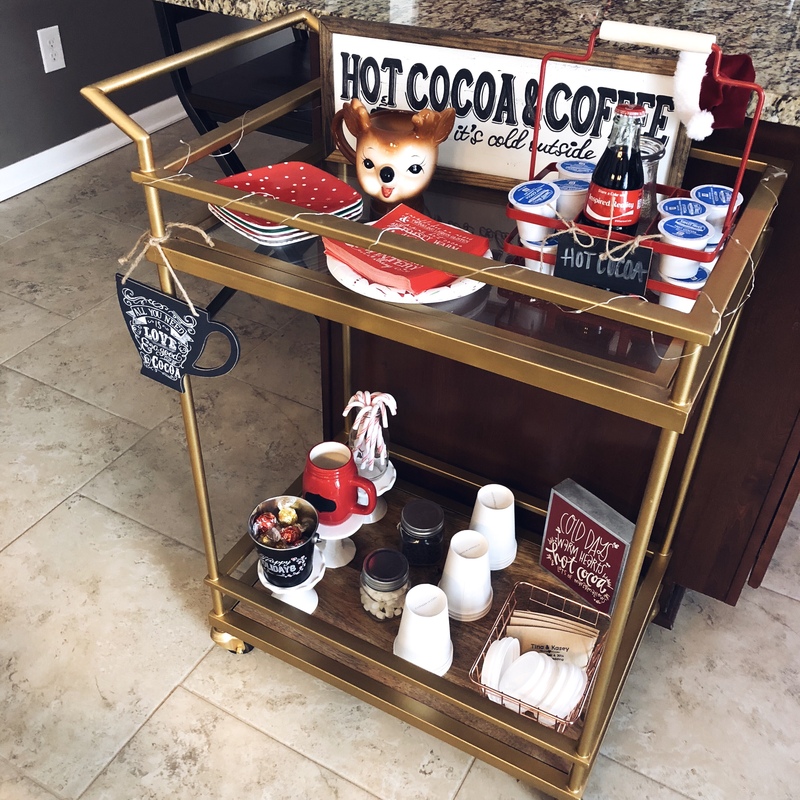 The bar cart is so cute, the mug is adorable! That was so nice of your sister to gift the coca cola bottle. Everything else is amazing from the kitchen to the bedrooms and the tree is lovely too. 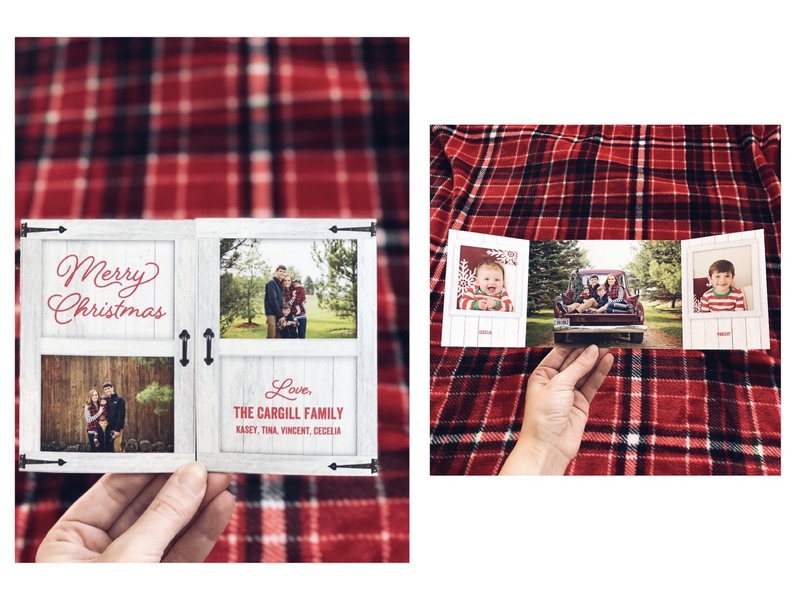 Your Christmas card so cool ! 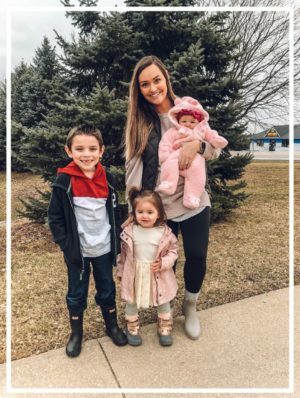 Such a cute family. We usually decorate the living room, lower hall kitchen, but have added colorful lights to the kids rooms this year. Have a great day Tina, hugs, Terri xo. Thank you so much Terri! Colorful lights are great in any space! Have a Merry Christmas!